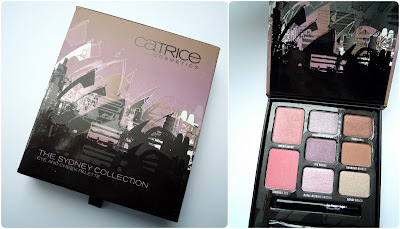 Keys to our Karma: Catrice Big City Life "Sydney"
here we go again! This time I'll be showing you the Sydney palette, or as it's actually called The Sydney Collection Eye and Cheek Palette! 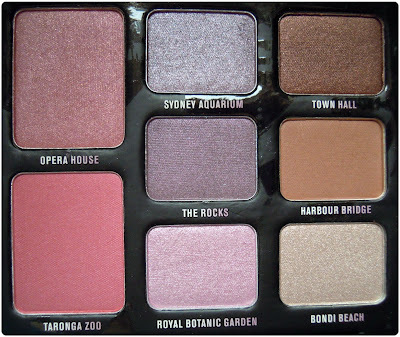 I feel so repetitive saying this again, but .. all the colors are named after famous Sydney sights. I have to admit, I feel really bad about not really knowing what any of these look like, except for 2. Most of the colors in this palette are rather sheer. It has some nice neutral tones and I think is really good for those not-too-flashy everyday looks. The colors are Sydney Aquarium, Town Hall, The Rocks, Harbour Bridge, which is the only matte color here, Royal Botanical Garden and Bondi Beach. All of the metallic colors contain some silver shimmer, except for Town Hall, which shimmers in a lovely gold. 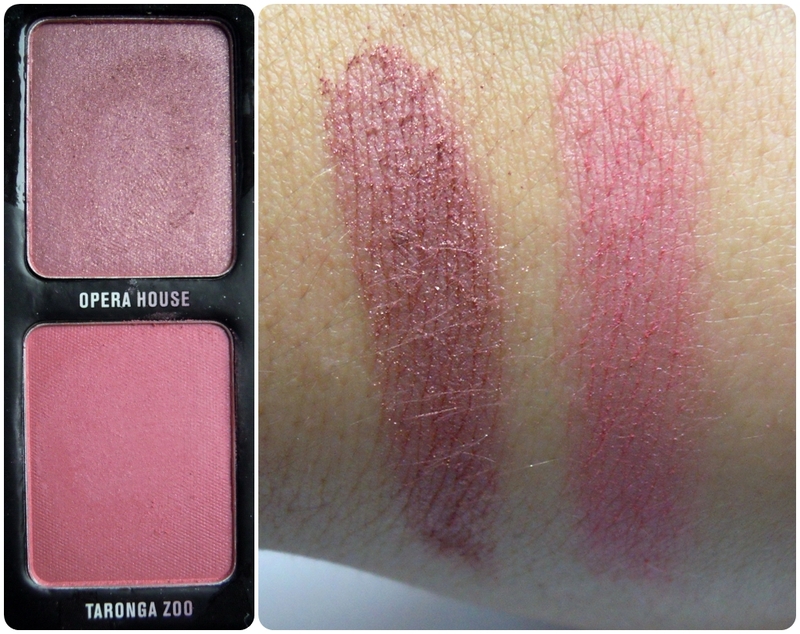 Both of these blushes are really good, I think. Opera House is a nice burgundy color with a gorgeous golden shimmer, and Taronga Zoo is a deep pink with just a little bit of sheen to it. Lovely! So which palette do you like best, so far?